When your Ford is in need of diesel auto repair, join the other satisfied clients who choose Dry Fork Diesel & Auto LLC in Carthage. Not only are our diesel auto mechanics highly adept at diesel auto repair, they’re also knowledgeable at conventional, gas-powered vehicle repair. 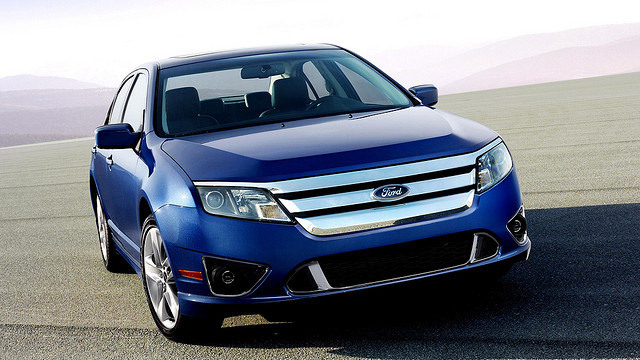 Your Ford is guaranteed to receive first-rate services that can't be matched. When you choose a diesel auto repair shop for your Ford, you'll want to choose a highly certified service center like Dry Fork Diesel & Auto LLC in Carthage. We're honored to be an ASA-Certified shop, a NAPA Truck Care Center, and a NAPA Auto Care Center. Dry Fork Diesel & Auto LLC is also affiliated with the Association of Diesel Specialists. We'll provide you with a 3-year/36,000-mile O’Reilly’s Certified Auto warranty so you know that your Ford received quality service that you can count on. “We have taken two of our vehicles to Dry Fork and they have done a great job both times. They have good communication and do great honest work. They find the problems quickly and fixed them efficiently. They are also close to town which is a nice commodity to have. Thank you for all of the hard work you do!” -- Kristin H.
When diesel drivers in and around Carthage need Ford services, they pick Dry Fork Diesel & Auto LLC. While our highly-skilled diesel auto mechanics service your vehicle, you can rest easy and trust that your diesel auto repairs are being handled by the most capable team. Customers in the region have made us their leading pick for helping with Ford services because we continue to prove that we are experienced experts. Contact us if you have any inquiries or schedule an appointment online. Dry Fork Diesel & Auto LLC. is located at 16740 CR 138 Carthage, MO 64836.